I was so pleasantly surprised at this little gem of a location which I had never been to before! 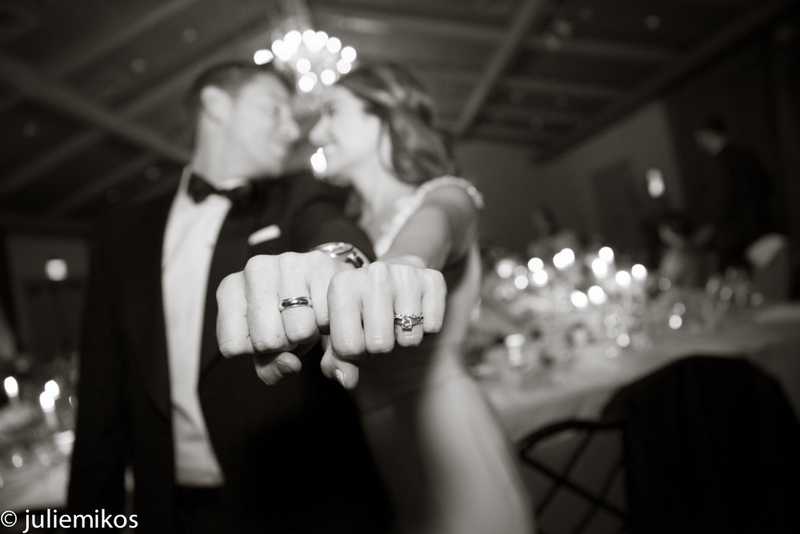 Adriane and Tim found me through their friends Chelsey and Mark (view their wedding here!) and I was more than pleased to be able to meet Chelsey and Mark's new baby boy at this wedding! LOVE direct referrals so I can see some of my former clients again! Hollins House is a lovely historic old home on the property of the Pasatiempo Golf Club in Santa Cruz. With incredible views of Monterrey Bay, big oak trees, views of the golf course and a sweet little gazebo for the ceremony, it's hard to believe I've never photographed at this location! Our bride Adriane is a wedding planner and coordinator herself, so location and a truly lovely experience for her friends and family must have been so important to her. She hit a home run with this location! Doing most of the work herself on planning and designing the wedding, she even had the design of her JINZA gown altered to her specifications! She worked with Laughin' Gal Floral to make sure the very natural, but Fall feeling florals were perfect for the tables and outdoor venue. I loved the little lantern gifts that were set at each guest's place setting. As the daylight faded, the little lanterns turned on and added a terrific glow to the tables for the evening - and then the guests got to take them home! This was such a special family and friend-oriented wedding and great love was acknowledged and shared throughout the toasts. Then everyone had a blast dancing the night away and continuing to have cocktails under the stars. Such a sweet couple Adriane and Tim! This wedding was such a treat for me! When I first moved to the bay area, I lived right off of a fire trail in Berkeley called Claremont Canyon. Up at the top of the steep hike there was a house that had amazing views but was hard to see because of the landscaping and walls, but it looked from what I could see, like a little hobbit house tucked into the hill. I always thought it would be such a treat to be able to see what the house looked like. Well, fast forward 14 years and I found myself photographing Amber and Aryeh's wedding at this very house and it really IS a hobbit type house! Sometimes being a wedding photographer gets you into the most incredible places! The ceremony was on the lawn perched at the edge of the property with amazing panoramic views of the San Francisco bay and bridges. As the sun set, Amber and Aryeh said their vows and then everyone gathered for the yummy food buffet by Le Mediterranee and ate and drank on an incredibly warm evening with crickets chirping, the moon rising and a gorgeous starry sky. It was truly magical and was hard to leave when the time came for me to go home. I didn't have much time with Amber and Aryeh for our portrait session because it was all about being with family and friends for them, but getting to use even a portion of the ivy covered walls and doors of that house was incredibly fun for a photographer! But ultimately I was happy to pass them along to enjoy their star and moonlit evening dancing the night away and watching the moon reflecting on the bay. Simply gorgeous. Yeehaw! This was a fun one! Starting with the rehearsal dinner hoedown at the Swiss Hotel in downtown Sonoma and the wedding at the ever gorgeous Atwood Ranch. Cristin and Capp and their guests had a blast throughout the weekend and Atwood Ranch was as always stunning with design by Julie Atwood, florals by Marie Philbin Floral Design and a fabulous family style meal by Sage Catering. There was threat of rain all day and then during the ceremony the clouds broke up and the sun burst through just as they were ready to seal their marriage with a kiss! Cocktails were on the patio and then after a big group shot with pompoms (Cristin was a cheerleader and Capp was a football player! ), the barn doors opened to reveal the gorgeous barn lit by candles and lovely chandeliers. After dinner the party really got started and late night (after I left) apparently a huge group stayed on for acoustic music by the outdoor fire into the night. What a gorgeous wedding! Congrats Cristin and Capp! 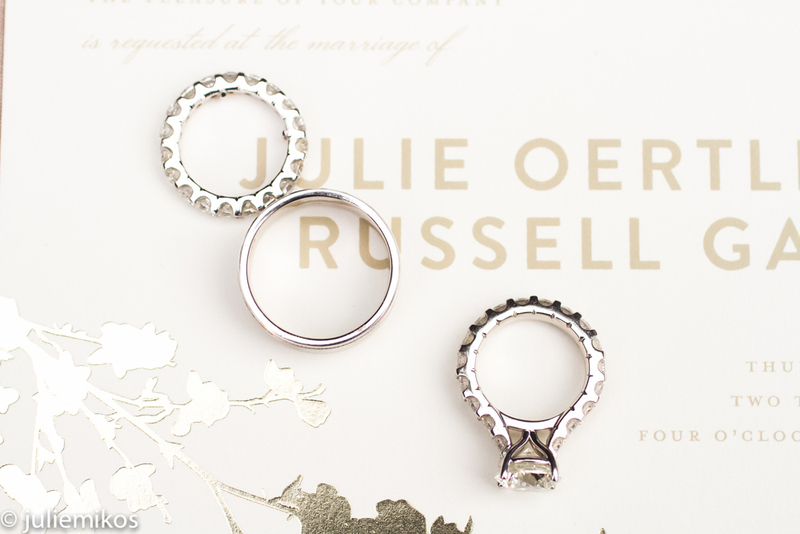 Two Rancho Nicasio weddings in one year! Fun! The first one was a family wedding in May and the second was Aria and Brian's sweet and relaxed wedding just a few weeks ago. Love this location! The surrounding area is such a lovely representation of West Marin and the town of Nicasio is just such a sweet little town with it's tiny old volunteer fire department firehouse, church with steeple and baseball field (right in the middle! ), there's not much to it, but it's such a fun experience for guests. Not many people make it out to this out of the way spot. Aria and Brian lucked out with the weather which stayed warm through their outdoor garden dinner set with pretty and simple florals by Mill Valley Flowers and the Rancho Nicasio food is so yummy! It was a lovely evening watching the sun set over the adjacent hills and ranch land and when people moved inside when it got cooler outside, the party really got rolling as DJ Jeremy rocked the house! I love traditional Jewish weddings and always have fun photographing the hora even though sometimes I come out of it with bruises! Such a festive and joyous dance! Aria and Brian were so sweet together when we stole away from dinner for our sunset shoot and walked around taking portraits at all the lovely little spots around town. The beauty of this town is that it's so small, we could do it in ten minutes and get them back in time for toasts! I could see the happiness in Aria and Brian throughout the day and knew they had an incredible day! Congrats to Aria and Brian! 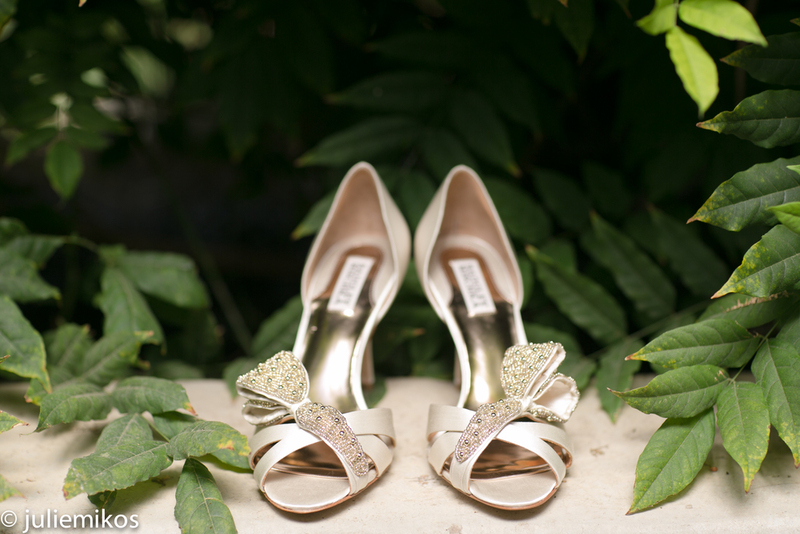 Heather and Shawn wanted a fairytale wine country destination wedding and they got it! 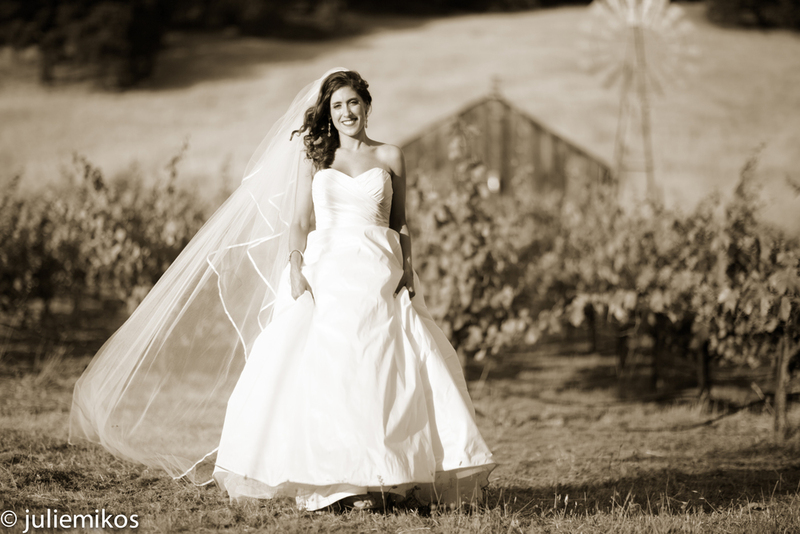 Stryker Sonoma is the perfect location for a destination wedding in wine country. Family and guests were mostly coming from Texas where Heather and Shawn reside and having the wedding all in one location certainly helps keep it easy for your guests! Also, if you want to wow your guests with wine country views a little off the beaten track, this is it! Coming from Texas in the middle of the summer, I'm sure the perfect 80-something degree weather was welcome too! Heather is in the fashion industry and absolutely shined in her custom made David Peck gown. She had her designer also design and make dresses for the VIP ladies of the group. I loved the swooshing skirts and various shades of pink and purple. She also had her little dream team of stylists on hand to prep her with hair and makeup as well as to be on our little photo shoots to make sure she looked picture perfect. She was all hollywood glamour with that wavy blonde hair and when she came out in her stunning veil, I swear people gasped. Certainly her groom was awestruck and beaming from ear to ear. 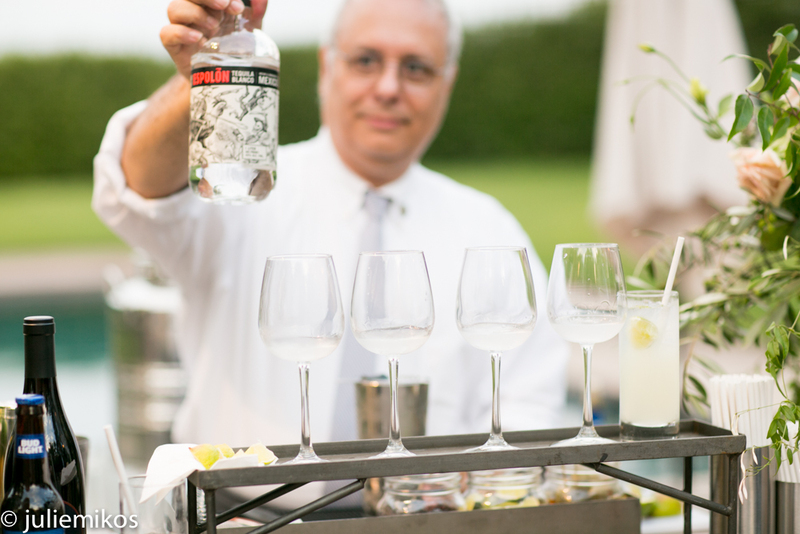 The farm tables with family-style meal by Alex's Catering and florals by Garden Party added to that perfect warm summer evening wine country feel and guests danced into the night to live music by Larry Lynch & The Mob under the full moon and stars. This wedding will last in the memories of all involved. 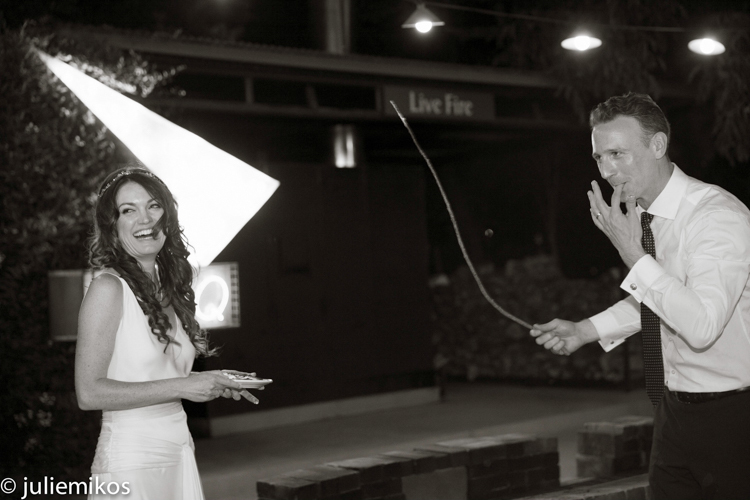 On top of it, Heather and Shawn both waited a long time to meet the perfect match and they celebrated in a once-in-a-lifetime way and seemed to have the time of their lives! What a day this was! 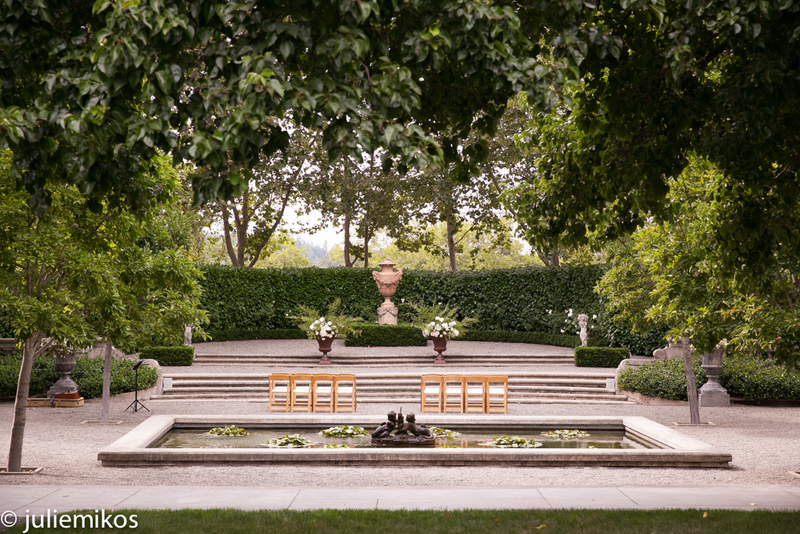 Catherine and David, both New York stage actors, went for the ultimate glamour of a San Francisco City Hall wedding and then everyone went up to Longmeadow Ranch in St. Helena for what was mentioned in a toast as the perfect "Midsummer Night's Dream". Both locations honored Catherine's upbringing in San Francisco and family vacations in wine country and all of their guests were treated to such a fun day! 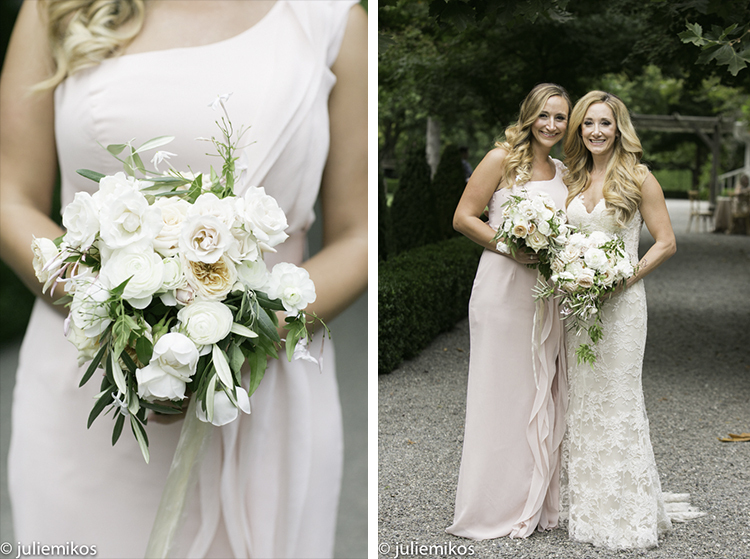 Catherine was so stunning in her Rosa Clara gown from Lovely Bride in New York. The dress and Catherine transitioned seamlessly from city wedding to country reception by switching out the lovely veil to a wreath of flowers on her head. David was super handsome in his gorgeous blue suit and the flowers by Tango and Foxtrot were sweet and perfect for the long dining tables at Longmeadow. By the way, the food at Longmeadow is so terrific! I loved the BBQ meal cooked right in front of the guests in what then became the fire pit area after dark. 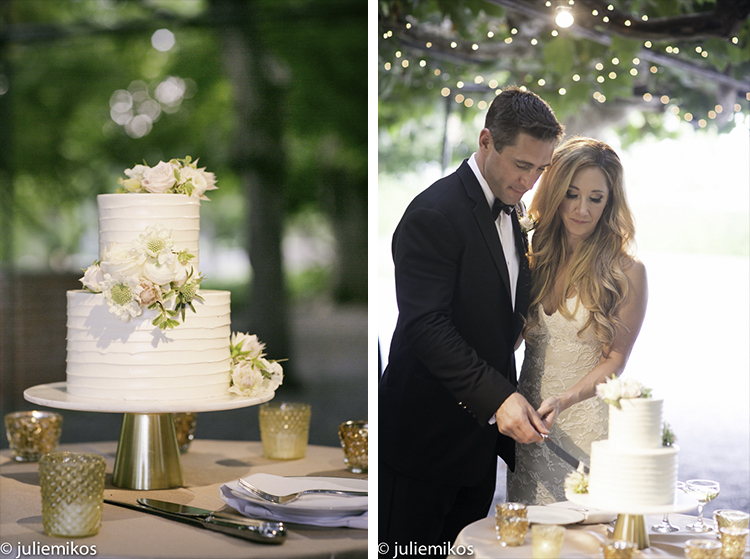 Stunning couple, stunning wedding. Congrats to Catherine and David! What a festive traditional Mexican themed wedding at Camopvida in Hopland! I always love photographing at this stunning location because as the sign there says it's a "garden of gardens" and I LOVE gardens! It's truly magical and what made this wedding even more special is that the bride grew up on this property way back in the day when her family lived on site! What fun for the family to come back and celebrate the wedding of one of their own. It was fun to walk around during our photo sessions and listen to the bride say things like "we used to catch frogs over there!" and "we used to play hide and seek in the barn!". I feel so lucky they chose me to photograph this very special day! Also, bringing in the tradition of a mariachi band marching in before the groom to start the ceremony and then leading everyone to the cocktail hour was truly wonderful. 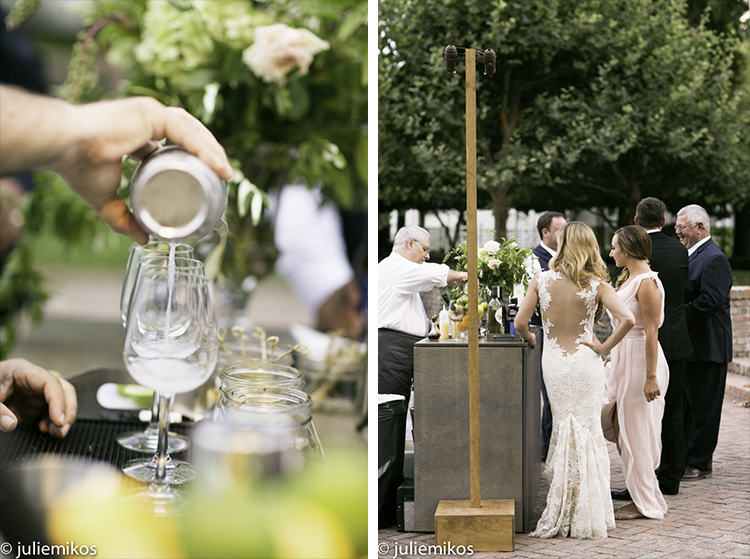 Although Maria did a lot of the work herself in the planning, Kelly & Company Wine Country Weddings did a great job of putting it all together and Park Avenue Catering provided such a festive buffet of summer BBQ! Maria and Nate's first dance under the Mexican cuttouts fluttering in the fading evening light to a song from the band who they saw on their first date made this wedding day even more special and the fact that their 4 month old daughter Lulu was the little flower girl pulled into the ceremony in a Red Flyer wagon put everything over the top. Sheesh. This one was truly a loving and festive family affair! Congrats to Maria and Nate! Oh, Laurel my bride who looks like a movie star! So gorgeous in her Matthew Christopher gown! She was the picture of gorgeousness in these classic Tiburon wedding locations! Elizabeth Bainbridge of 2 the 9s Events and her team put together such a lovely day starting with the garden ceremony overlooking Richardson Bay at Landmark Gardens and then on to a fun bay photo shoot including a ride in the bride's Uncle's classic orange Mercedes! Then it was really time to wow the guests with views of San Francisco across the bay at this lovely evening reception at the Corinthian Yacht Club. Guests were treated to cocktail hour on the outdoor porch and indoor sunroom both overlooking the bay and then on to a cozy dinner in the wood paneled yacht club dining hall. The candelabra florals by Mill Valley Flowers on the head table were stunning and then it was on to a big dance party with the bride's family friend leading the band The Bad Jones. Evening descended on the bay and the lights of San Francisco came up and everyone lingered well into the evening. What a perfect wedding day! Congrats Laurel and Lee! Healdsburg Country Gardens - Olivia and Brian! I feel so fortunate that I've been on the Healdsburg Country Gardens preferred vendor list for so many years. I've always felt it was the perfect wedding venue. 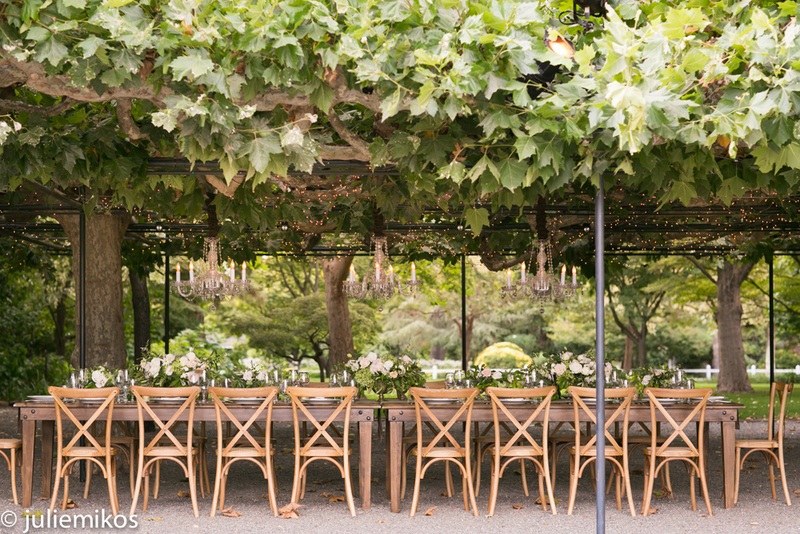 Ceremony under the oak tree with views of the vineyards, dinner in the garden, dancing in the barn, a sunset photo shoot in the vineyard - it's the perfect setup! Add in gorgeous wedding design by So Eventful and a gorgeous couple and viola! My job is easy! I loved Olivia's glamorous classic movie star look and red lips. Brian's reaction at their first look was so sweet. She made him gasp and cry! Very touching. Their family and guests were so important to them and their extended cocktail hour and lingering dinner gave them a chance to really visit with people. I'm sure it was a whirlwind for them, but in the eyes of someone who sees a lot of weddings, they really seemed to have time to enjoy themselves. I felt bad taking them away from the rocking dance party in the barn for their sunset shoot but once they were out there they seemed to enjoy this little break - until Olivia heard one of her fave dance songs and they were back in the dance party! Super sweet and fun wedding! Congrats Olivia and Brian! Another cozy wedding! LOVED this reception location set in the Bocce ballroom at the historic Union Hotel in Occidental. Karena and Jason added a special touch by having youth in the Eden Area Regional Occupational Program help them with their gorgeous florals and added some DIY aspects with the hand stamped wooden tags wrapped around the napkins at each place setting. Because of their love for the outdoors, Karena and Jason set their ceremony in the redwoods at The Grove nearby. They decided to utilize the setting by also have the cocktail reception set in the redwoods immediately following the ceremony. After a big group photo on the pavilion stage everyone loaded up and went over to the cozy hotel for dinner. 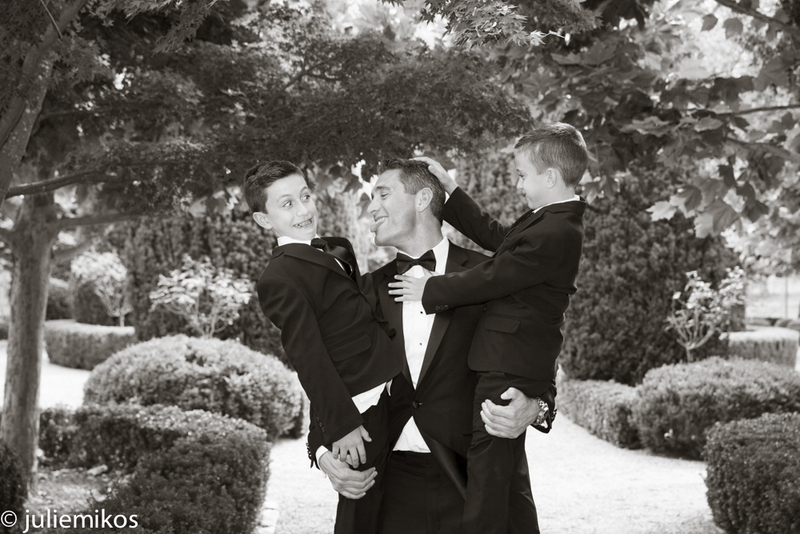 What a wonderfully relaxed family and friend focussed wedding. Congrats to Karena and Jason! Rancho Nicasio Wedding - Chris and Christina! Oh my gosh! How much do I love these two and how much did I love this wedding? More than I can say since Chris is my husband's brother and Christina is my brand new sister-in-law! My dear second shooter Amanda Barnes helped me out on this one by completely taking over after I photographed the B&G portrait session so that I could grab a glass of champagne and join the family for dinner and dancing. I loved the country western theme at Rancho Nicasio in the gorgeous west Marin Nicasio Valley. What a fun and festive wedding (and not just because it was my family!) complete with the country western band Twang Ditty. Boy did they rock the house! Chris and Christina did an amazing job on this budget wedding with help from the Ranch staff and florist Vanda Floral really created gorgeous summertime garden florals on a limited budget. When the staff recommended that what was supposed to be an outdoor dinner move inside because of the unseasonably cold weather, the indoor room at the Ranch was utterly transformed into a warm and cozy atmosphere for the yummy BBQ dinner and dancing! I've never seen my sister-in-law so happy. One of the happiest brides I ever saw and she looked absolutely smashing. So photogenic! Chris looked pretty dapper too and surprised Christina with his look. So happy for them and special thanks to Amanda for taking over the photo duties for me!! 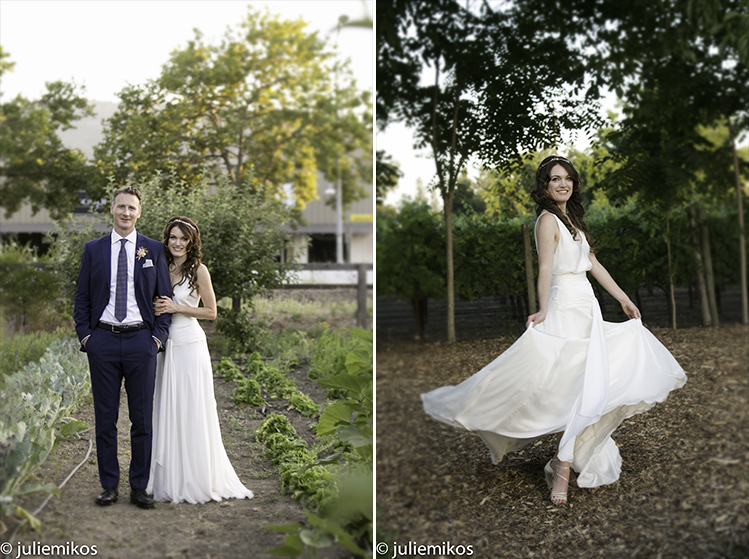 Sonoma Wedding: The Depot Hotel and General Vallejo's Home - Margaux and Patrick! Margaux was picture perfect in her Melissa Sweet gown and birdcage veil. Absolutely stunning look for this fairytale wedding at the CA state park location of General Vallejo's Home and the Depot Hotel in Sonoma. I loved that Margaux and her mom went with Emily of Green Snapdragon Floral to pick out flowers. Margaux's bouquet was stunning and the florals on the tables at the reception went perfectly with the lovely gray runners Patrick's grandmother made. I thought it was a great touch that the runners were gathered at the base with a floral. This wedding was all about family and friends and as Patrick's father said in his toast: "BIG LOVE!" Wonderful time had by all!